GET A SHIPPING QUOTE ON YOUR EAGLE PRODUCT … Instantly! 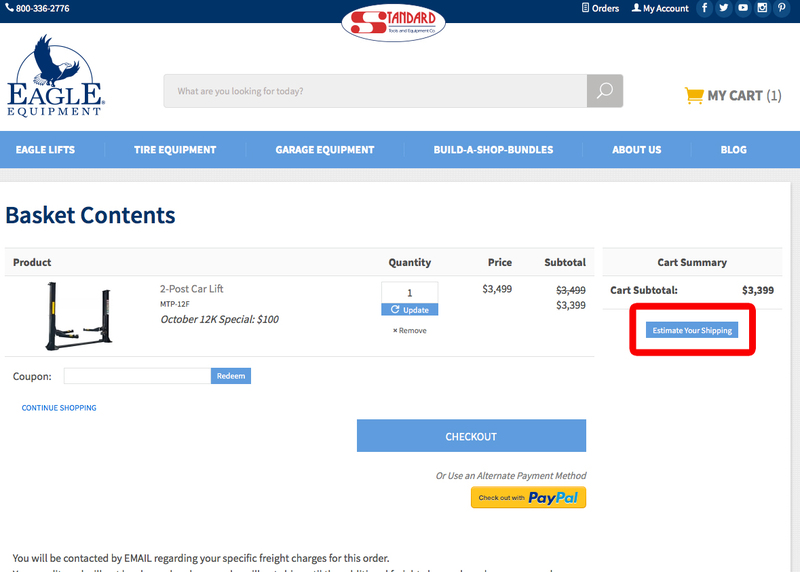 We have entire sales and customer service staff that would love to assist you in getting the shipping cost for your equipment … but did you know that you can find out how much shipping will cost when you add an item to your virtual cart on our web site? It’s fast, easy and instant! That’s right…. 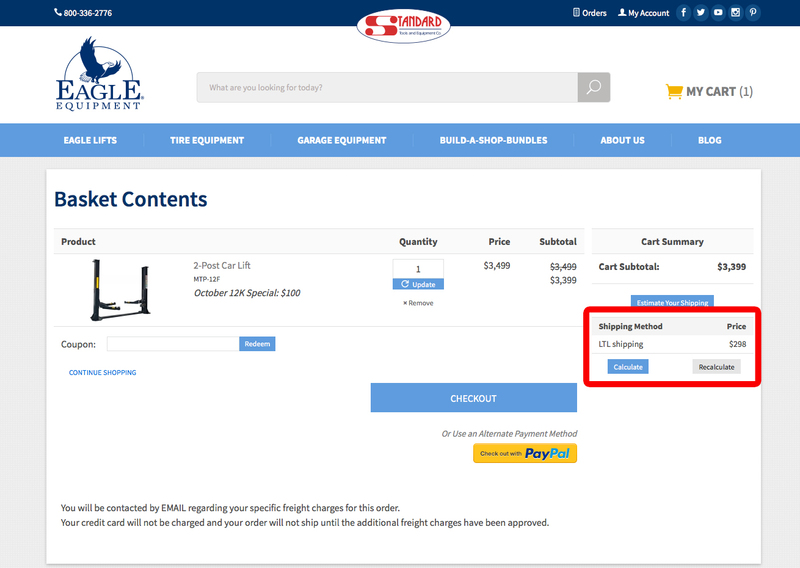 You can now buy Eagle Equipment on our Website without waiting for a shipping quote. You simply find the item you want and “Add to Cart”. 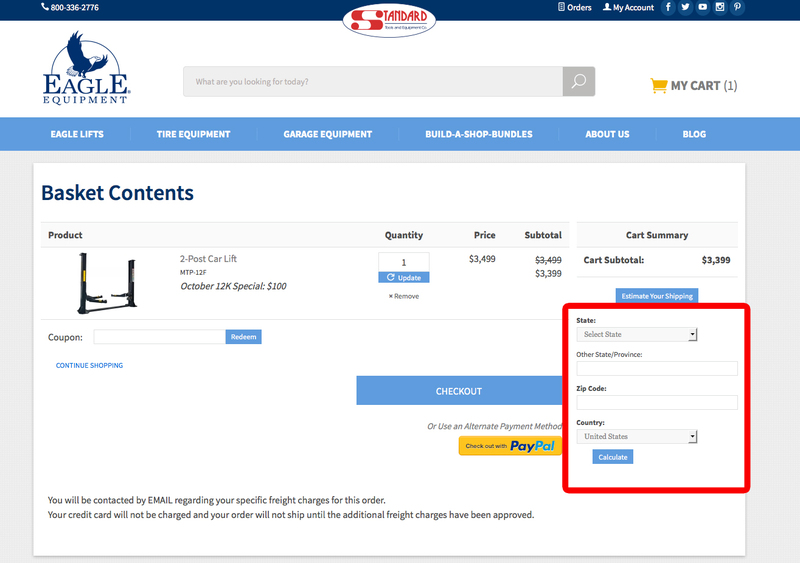 When you view your cart, you’ll see a button for “Estimate Shipping”. When you click on it, you’ll see where to enter your state and zip. Once you enter that, you’ll see the estimated shipping cost to your location. This is an estimate. There MAY be additional costs for residential delivery or if you are going to need a lift-gate to unload your equipment. If there is, you will be advised when our customer service rep gives you a call to confirm your online order. As always, if you have any problems or questions … or just want to place your order with a friendly voice on the other end, give us a call at 800-336-2776. Happy virtual Shopping! Previous Previous post: Crisp Mornings, Pumpkin Spice Lattes and Tire Pressure Lights!